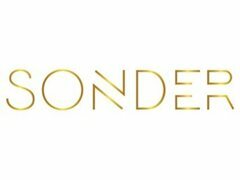 Sonder have now opened our books for new actors! We are a new and exciting, online based, non exclusive talent agency, specialising in commercial work. We are currently seeking actors, of a diverse range from all backgrounds and levels of experience to join our books. With almost ten years of agency experience on the Sonder team, we are perfectly placed to assist our clients on their journey. We represent actors primarily for commercial work across television, online and print media. Sonder clients have previously starred in commercials for Guinness, Virgin Media, HSBC, Bacardi, Oreo cookies and more! Currently, we are only accepting adult actors who already have an active Spotlight profile. If you are 25 or under, we are open to supporting you with your Spotlight young performers application so please do apply! To be considered, please apply with your Spotlight link (where required) and a short cover letter. Someone from our team will then be in touch!